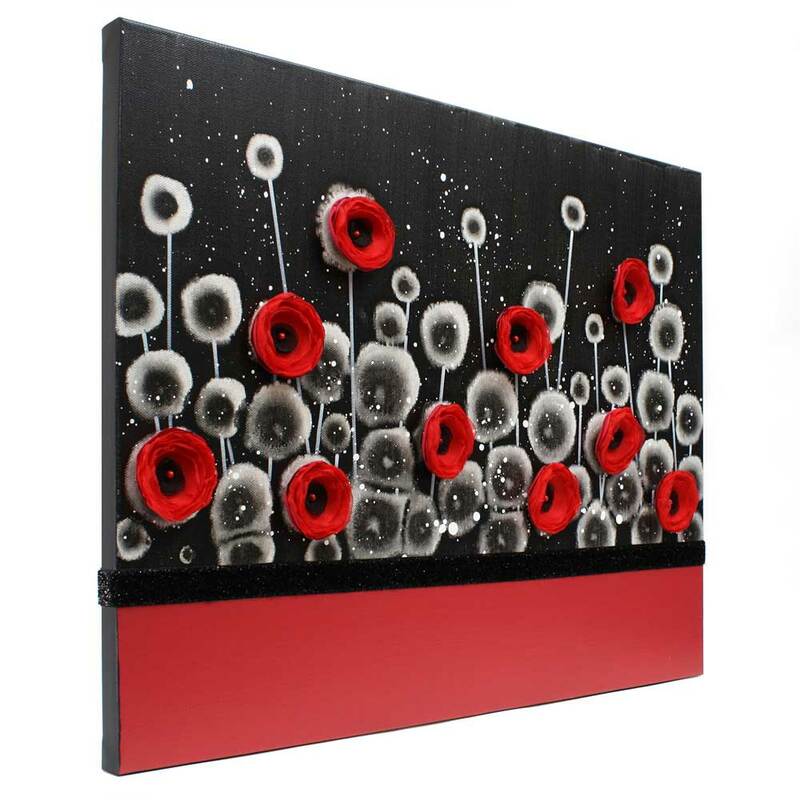 This small wall art is bold. 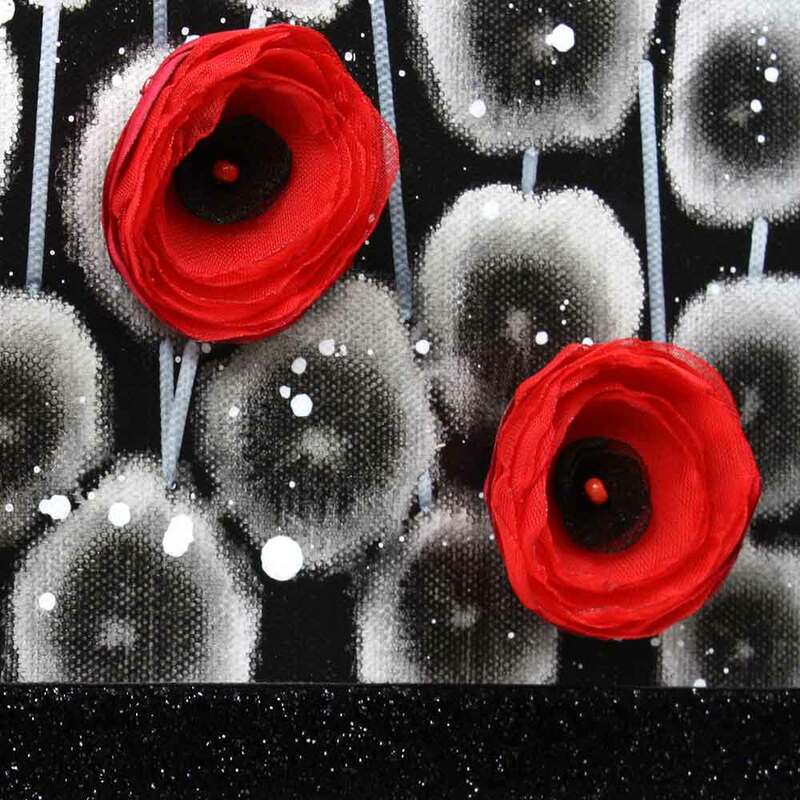 Bright red poppies stand out against the field of black and white flowers. 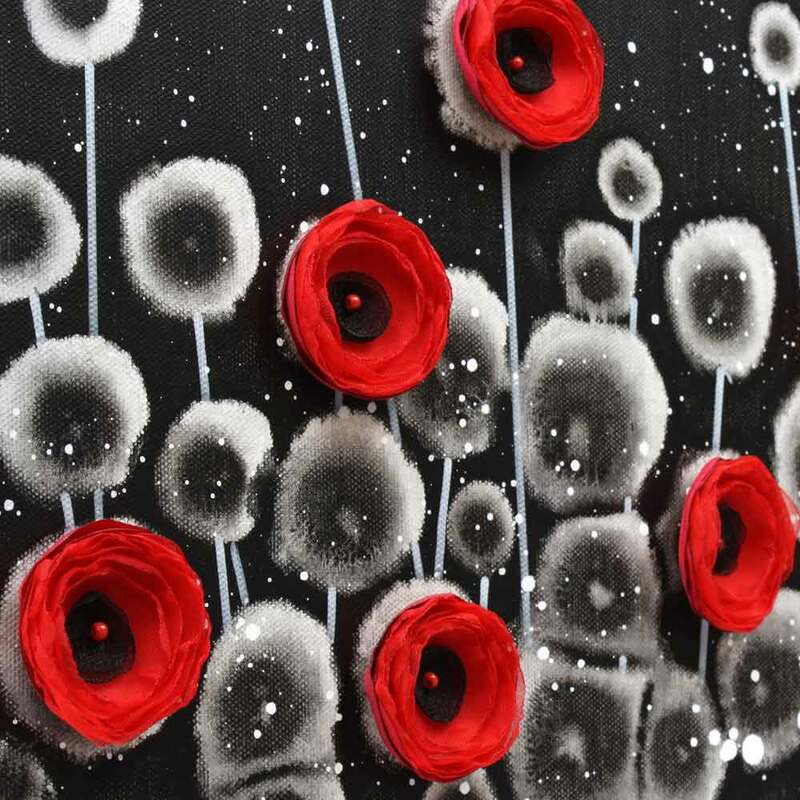 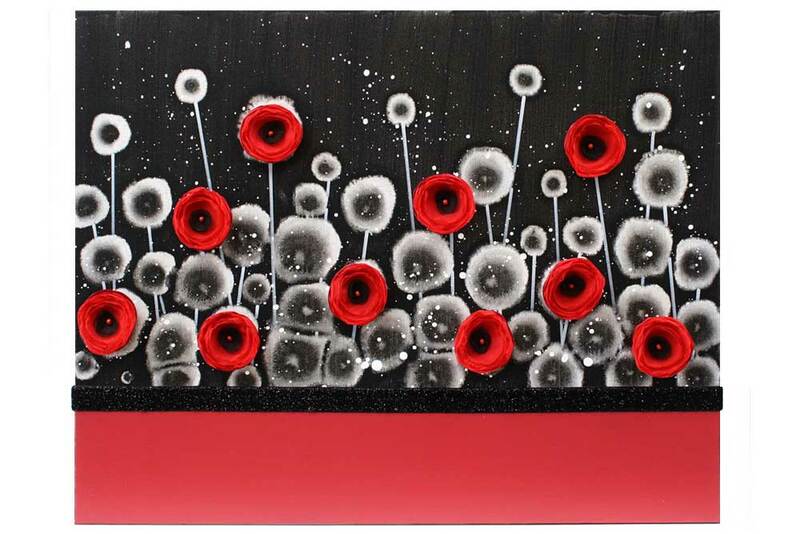 The field of poppies are hand-crafted in fluffy red and black organza. 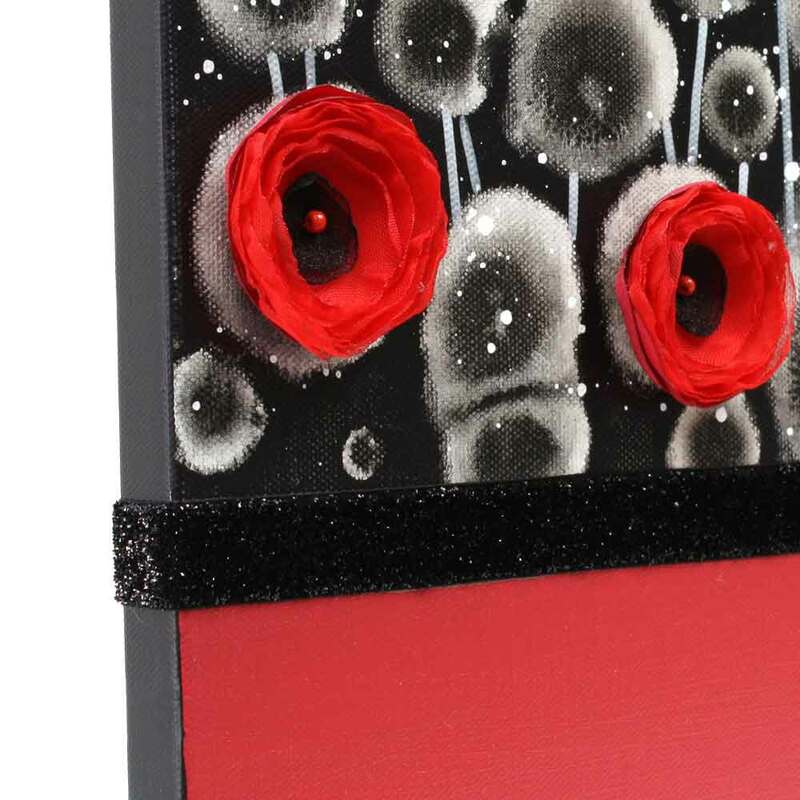 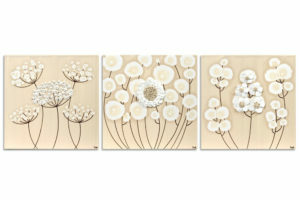 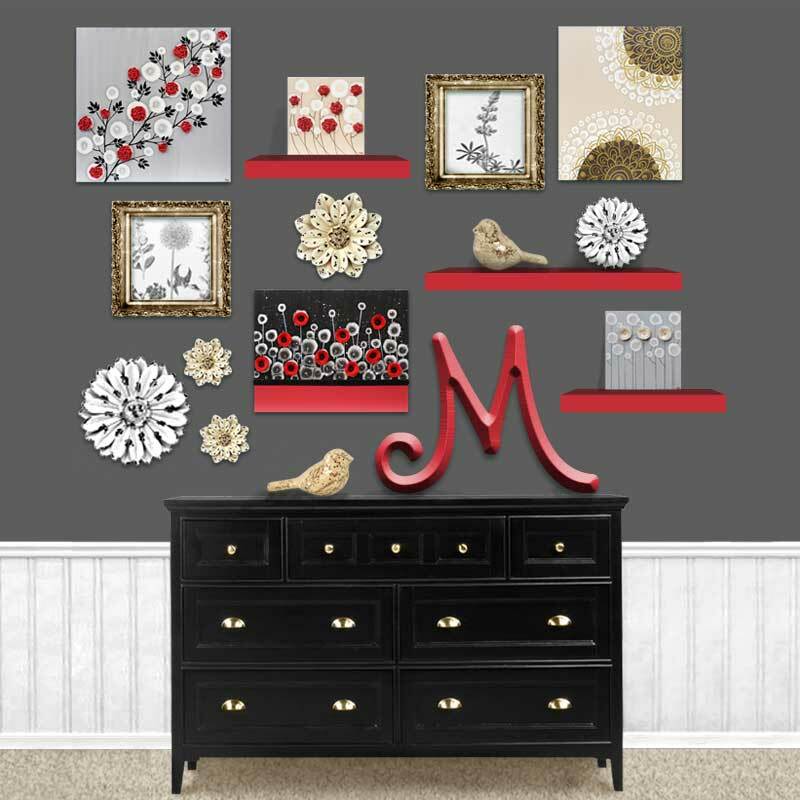 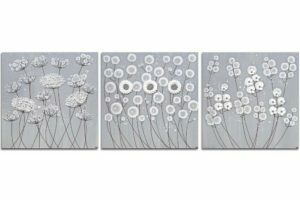 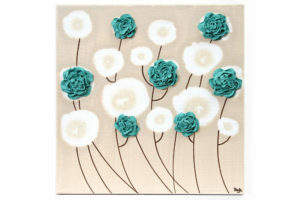 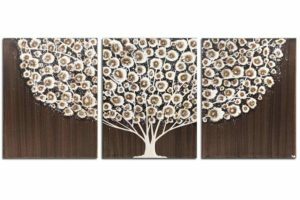 The canvas painting is detailed with a shimmery black border.